The words, acid peels and black skin, does this sound like a good combination to you? I've learned over the years that your beautiful black skin can actually benefit from a peel, IF the person administering it knows what they're doing. While all of this sounds good you might want to do some homework to determine what will work for you as a melanated person. What's At The Core Of a Treatment? At the core of a peel treatment is a highly specialized acid and enzyme solution that's applied to remove damaged layers of cells from your skin's outer surface. This in turn will give your skin a beautiful radiant glow. Treatments will vary in intensity and your skin care therapist will determine based on your skin type, which peel treatment is best for you. Progressive peels are typically the mildest of treatments and usually do not cause immediate exfoliation. Repeated services will create a mild sloughing away of dead skin cells with cumulative effects. The result is a refining mild peel and there�s no down time. Mid-depth peels penetrate deeper into your skin layers and exfoliation will occur within two-three days of the application. You�ll have little to no down time and you�ll get light flaking, similar to sunburn. Deep peels restore and renew your skin with dramatic results. Your skin will go through a dramatic peel rather than just flaking. Typically three or four days after the application you�ll begin to see peeling. The entire process can take about seven to ten days. Peels can deliver improvement but the success of the peel will depend on the professional and their ability to evaluate your skin as an African American client. 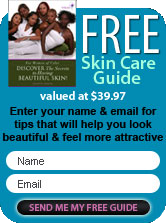 Do make sure the skin care therapist has had extensive training on dark skin. Do make sure you go home with care instructions and the proper product after your peel. Do understand that the skin care therapist cannot guarantee that your skin will have perfect results within a certain timeline. Don't get a peel if you are using trentinoin or taking isotretinoin. Don't get a peel, have a Botox treatment or any other injectable procedure in the same day. Yes, some clients actually think this is possible. Your skin care therapist should ask you a series of questions to determine just how to care for your skin before and after a peel. Understand that a sunscreen is extremely important because depending on the type of peel you receive, you are in essence removing layers of your skin. You should not spend any time in the sun without a sunscreen.